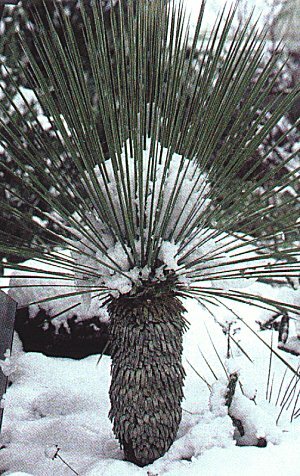 Suggested plants for outdoor cultivation in low winter temperature zones. 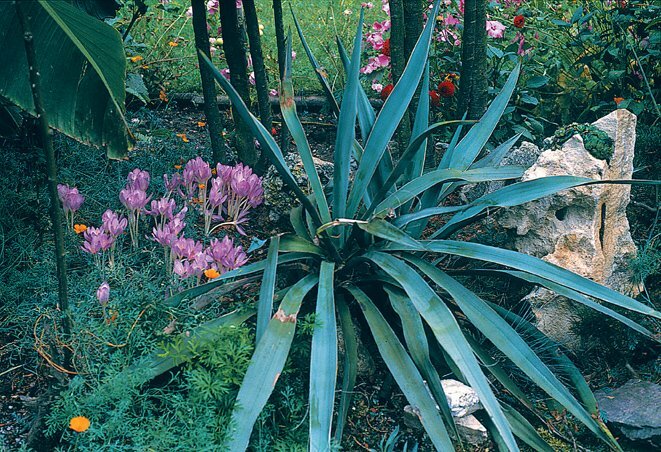 25 year old example of Yucca baccata with Colchicum "Lilac Wonder" in bloom in October. 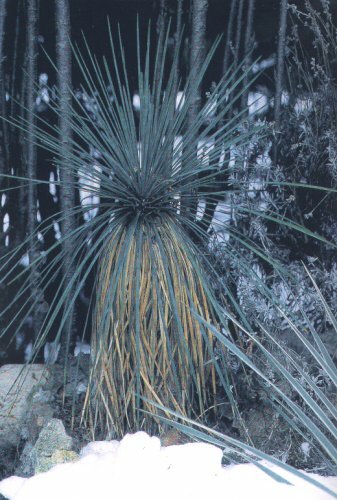 Yucca whipplei ssp. eremica* (northern California where it is fairly well protected by oak trees). 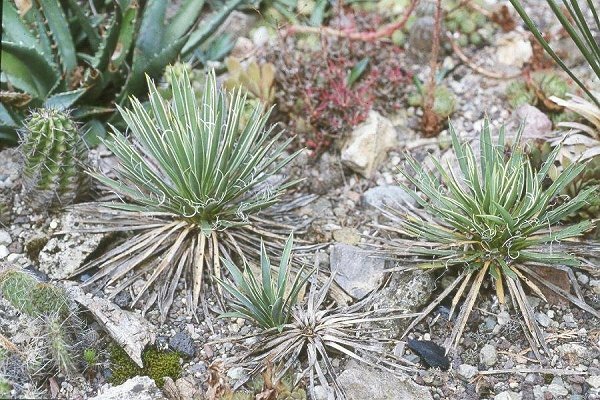 Other forms: Yucca chilensis, Yucca cochabamba, Yucca danica, Yucca flexilis. 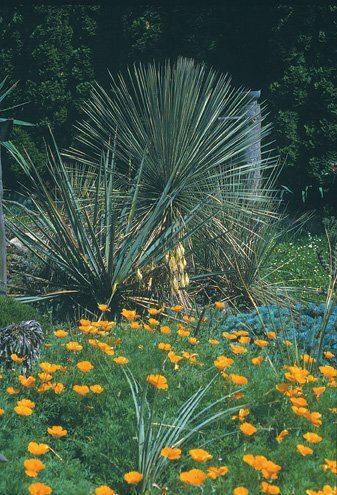 * = Guarding against moisture during the winter months. 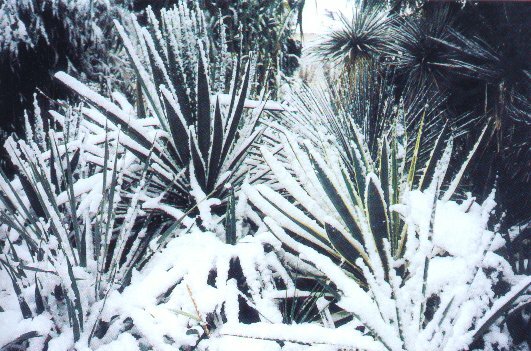 Adult example of Yucca elata. Note the inflorescence (not in bloom) app. 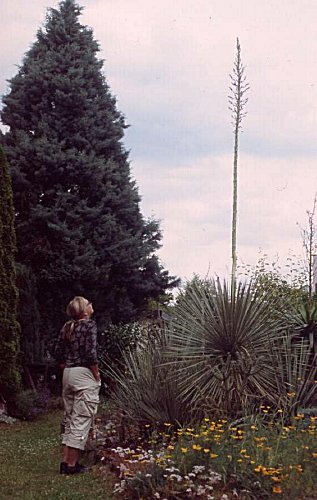 4 m high similar to Yucca whipplei. Precipitation: 300 mm p. a. ; mostly in Spring and early Summer. 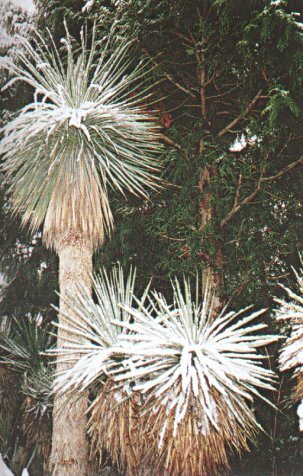 Old Yucca elata in background. 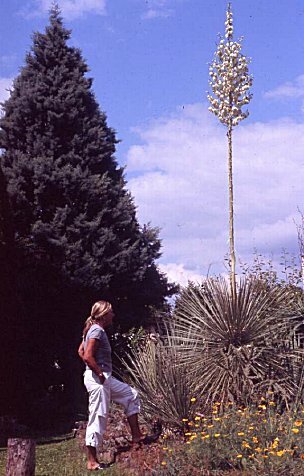 Yucca pallida in foreground in bloom. 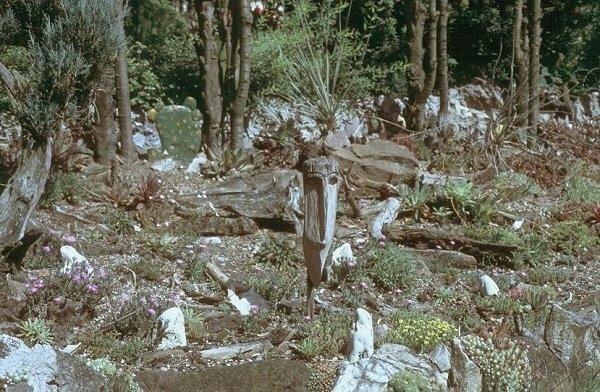 Alpine mini-garden in half shadow. 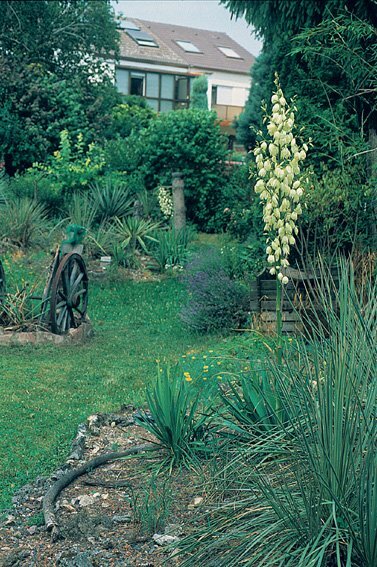 Alpine mini-garden with the Dwarf Yucca, Yucca nana.